Researchers from the U.S. Department of Energy's (DOE) SLAC National Accelerator Laboratory and Stanford University have designed a low-cost, long-life battery that could enable solar and wind energy to become major suppliers to the electrical grid. 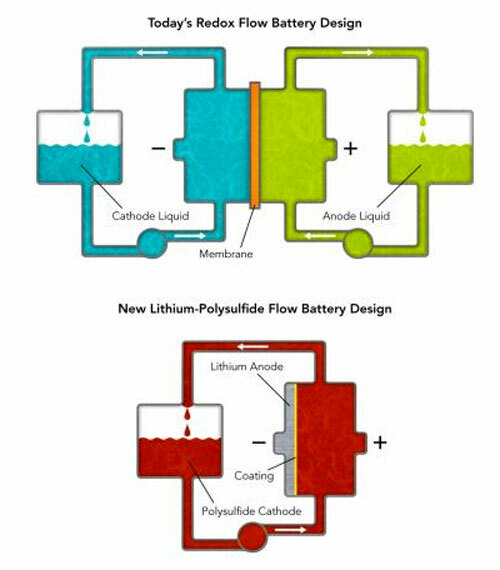 Point Source Power's cheap, rugged fuel cells can provide electricity where none exists. 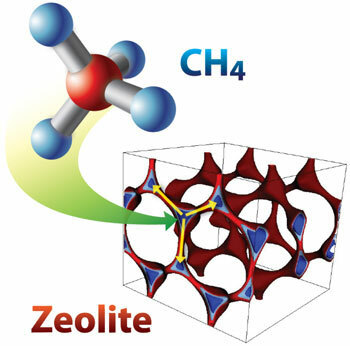 Berend Smit, an international authority on molecular simulations who holds joint appointments with Berkeley Lab's Materials Sciences Division and UC Berkeley, led a computational study that found several promising candidates for methane capture in zeolites, porous minerals widely used as alkane-cracking catalysts in oil refinement. The NREL researchers evaluated the operational impacts of CSP systems with thermal energy storage within the California electric grid managed by the California Independent System Operator (CAISO). 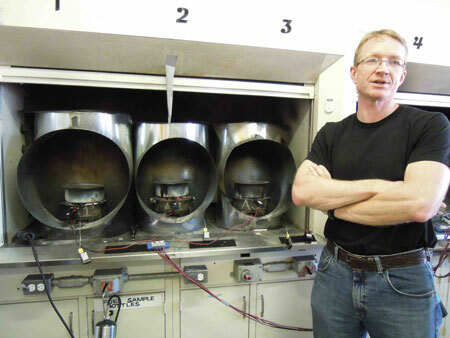 NREL used a commercial production cost model called PLEXOS to help plan system expansion, to evaluate aspects of system reliability, and to estimate fuel cost, emissions, and other operational factors within the CAISO system. 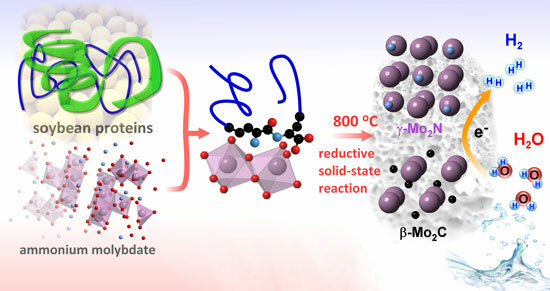 Scientists describe details of a low-cost, stable, effective catalyst that could replace costly platinum in the production of hydrogen. The catalyst, made from renewable soybeans and abundant molybdenum metal, produces hydrogen in an environmentally friendly, cost-effective manner, potentially increasing the use of this clean energy source. Improvements in cost-competitiveness means that renewables will account for between 69% and 74% of new power capacity added by 2030 worldwide, despite current difficult market conditions. 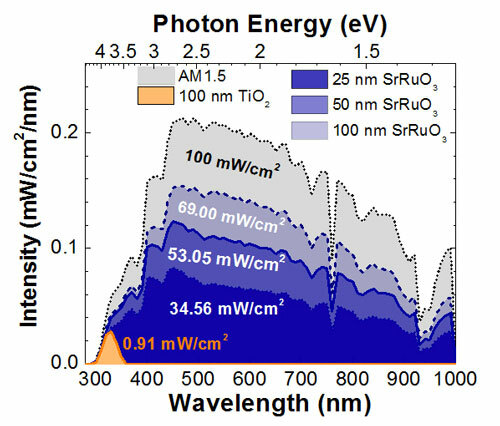 A University of Illinois research group brought together aspects of condensed matter physics, semiconductor device engineering, and photochemistry to develop a new form of high-performance solar photocatalyst based on the combination of the TiO2 (titanium dioxide) and other "metallic" oxides that greatly enhance the visible light absorption and promote more efficient utilization of the solar spectrum for energy applications. Artificial photosynthesis is a dream technology that mimics a natural leaf, converting water and carbon dioxide into fuels with sunlight. But before this technology can take flight, scientists will have to solve a fundamental plumbing problem: how to gather molecules of fuel from microscopic reaction sites to pipes that will pour it out by the gallon. The EU-funded project, called SUPRAPOWER, is working on a more powerful, reliable and lightweight superconducting offshore wind turbine. The four-year project has the expertise of nine European partners from industry and science under the coordination of Tecnalia in Spain. 'Smart Grids' schemes that will enable companies to decrease their energy use, utility bills and carbon dioxide emissions are being developed by the University of Greenwich. It sounds like science fiction but a team from the University of Exeter, with support from Shell, has developed a method to make bacteria produce diesel on demand. Access to cloud services using personal wireless devices will have the same carbon footprint as adding another 4.9 million cars onto the roads by 2015. The first continental-scale reconstruction of temperatures over the past 2000 years has found 20th Century warming was a global event that has produced the hottest global average temperature in 1400 years. 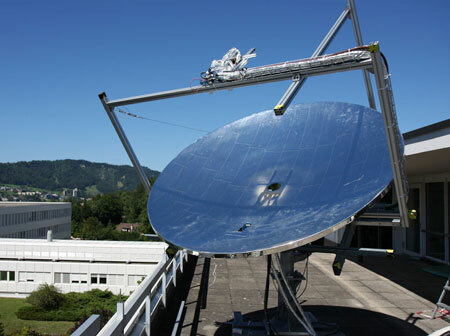 Scientists have announced a collaboration to develop an affordable photovoltaic system capable of concentrating, on average, the power of 2000 suns, with an efficiency that can collect 80 percent of the incoming radiation and convert it to useful energy. Recycling of tyres is a potentially economically sustainable enterprise providing an ingredient to make a kind of plastic for ever recyclable. But Europeans first need to overcome barriers to adoption. SiNode Systems took home the grand prize at the 2013 Rice Business Plan Competition, the world's richest and largest business plan competition.